Everyone has that friend of a friend who converted their prime real-estate into a vacation-only rental and made lots of money. “Leasing for a single season pays for the whole year!” is a common assertion property owners associate with vacation rentals. However, the reality is much more complicated. Yes, vacation rentals can and do make money, in select markets and in highly-prized areas. But the stories of people making boatloads of money is overblown. Some people make money, but many do not. The problem with converting a property to short-term vacation rentals only is that you are still on the hook for all the costs, regardless if your unit is full or not. Moreover, vacation properties are in highly-prized areas which subjects them to higher property taxes, high HOA fees, and other costs associated with being a prime property. In general, short-term rentals, like hotel rooms, cost about 60 to 70 percent of revenue in operating costs. Conversely, a well-managed long-term lease will cost about 35 to 45 percent of revenue in operating costs. Investors and real estate moguls in San Diego are catching on, and many of them flocked to acquire properties on the coast. Prized neighborhoods such as La Jolla, Del Mar and Solana Beach saw dozens of properties purchased, renovated, and resold for massive profit. One consistent theme you did not see, converting the properties into vacation rentals. Arguably, La Jolla, Del Mar, and Solana Beach occupy some of the most sought-after beachfront property in the world and would, in theory, make excellent candidates for vacation properties. 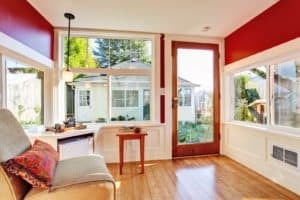 Before you decide what to do with your investment property, consider these points. Are Vacation Rentals Legal in Your City? Short-term rentals, thanks to the rise of Airbnb and the shortage in housing, are under regulatory attack all over the country, including San Diego. Earlier this year, the City Attorney issued a memorandum arguing that Airbnb and other short-term rentals be prohibited by the municipal code. Since that memorandum, the City has begun cracking down on short-term rentals from Pacific Beach to Solana Beach. San Diego may be attractive for vacation rentals because it is one of the biggest Airbnb markets in the country, thanks to the weather, the beaches, its proximity to the border, and more. However, there are numerous risks that could endanger your property and subject you to fines and cost you thousands of dollars. What are Your HOA Restrictions? A higher potential income makes for higher risk, and vacation rentals are no exception. If you rent to a long-term resident, you might have a handful of crises a year. When you rent only to vacationers, you could face a crisis every week or even more. Vacationers may not care for the property as a resident would because they don’t have to live there. This doesn’t mean vacationers will trash the place. Instead, the higher turnover means maintenance and cleaning costs are higher. Every time a resident leaves, you’ll need to clean the unit and repair any damages. Additionally, more people using the furnishings and appliances means you’ll need to replace them more often. Overall, a vacation rental is more time, more work, and more attention. Finally, your income is chaotic. In good years, you could make a lot of money. In bad years, you could endure year-over-year losses. Vacation is one of the first things people cut back on when money is lean, therefore, your income stream is one of the first to get hit in an economic downturn. On the other hand, people always need a place to live, regardless of the economic situation. A vacation rental might sound like a good idea but only to round out a well-developed investment portfolio, not to replace a long-term lease property. Rather than converting your property to short-term vacation rentals, consider retaining the assistance of a property management company. A property management company can take care of the crises, run maintenance, collect lease payments and help you find reliable residents. Property management companies, unlike vacation rentals, save you time, stress and allow you to keep more of your money.